As some of you may have seen from my twitter stream, this week I have been in Bucharest. The main reason for my visit was to speak at the launch event of a new European funded project on Lifelong Learning (more on that tomorrow). But, on Monday, I was luck enough to be invited by my friend Magda Balica to the university who teaches a seminar based course on pedagogy. 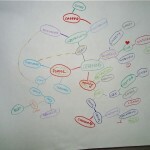 This week she was looking at the use of mindmaps and she set the students a groupwork task to draw a mindmap with ‘learning; at the centre. I was extremely impressed with the results, and als0 with the willingness of a number of the groups to produce the maps and report on them in English for my benefit. It was interesting that most of the groups recognised the diverse sources of learning and the different contexts in which they learnt. Interesting too, and less encouraging, was how separated the different contexts appeared to be. If joined at all, learning from different sources and contexts was seen as mediated, for instance by friends or classmates. The students were in general fairly scathing about the quality of formal education in schools in Romania, although I am doubtful that the response of German or UK students would be much different. Although many of the students had Facebook accounts, none had seen Twitter before and there was general excitement about getting ‘real time’ feedback from people in different countries. 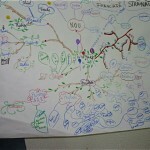 Anyway, I promised to post the mindmaps on this blog (click on any of the photos below for a larger version). Thanks to all who made my stay in Romania so interesting and enjoyable. Last year, together with my colleagues Jenny Bimrose and Sally Anne Barnes from the Institute for Emplyment Research at the University of Warwick in the UK, I ran a number of focus groups with young people on the use of technology for Careers Advice, Information and Guidance. The focus groups were part of research comissioned by the CfBT, a UK based educational charity. The main aim of the resaerch was to examine the skills needed by Personal Advisers working in the publicly funded Connexions service to deliver internet based guidance. The full report is not yet published. But the executive summary of the report is now available for free download from the CfBT web site. Whilst obviously the report is focused on the UK careers advice, information and guidance services, the issues raised are pertinent far further afield. Here are two excerpts from the summary report. Progress towards achieving widespread access to advanced internet based services through phones and / or mobile devices seems unstoppable, with young children exposed to new technologies from birth. Internet-based devices now offer a range of functions way beyond basic phone-calls and SMS text-messaging with social interactions unrestricted by time or space. Young people use information and communications technology (ICT) not just for accessing information, but for creating and sharing knowledge. All of the young people who participated in our study were able to access the internet either at home, school or college, on a daily or weekly basis. They also accessed the internet using various means (for example, mobile devices and games consoles as well as personal computers). Although many parents / carers were monitoring young people’s level of ICT usage, the nature of internet access was not being restricted – irrespective of age group. Overall, we found a high level of ICT usage by young people, with internet-based services an integral part of their social networking, communication and entertainment. Findings from our study also indicate how young people think that internet-based services could be an effective way of delivering guidance services more flexibly and effectively in the future. However, the importance of shaping these services in a way that reflects the current usage by young people is clear. So, for example, the majority of young people in our study use technology to gather information. This suggests an increase in the use of online multi-media to develop personalised information, together with increased access to different types of high quality, online information. Additionally, it indicates the need for P.A.s to coach young people in how to distinguish amongst reliable, unreliable and biased sources of online labour market information. Other ways young people in this study felt their current usage of internet-based services should shape guidance services in the future related to chat rooms; online, multi-media; personalised information; and email communication. Despite high levels of ICT competence and the trend towards more openness, collaboration, peer communication and user-generated content, the young people still highly valued their face-to-face contact with P.A.s, because of their professional expertise. However, where P.A.s are accessed on-line, they will need to demonstrate a level of proficiency in internet-based technologies at least equal to those of the clients accessing their expertise to maintain their respect. There is a strong policy steer for organisations delivering guidance services to young people in England to make greater use of internet based services to deliver guidance, despite there being much still to be learned about this aspect of professional guidance practice. For example, reliable evidence on the impact of introducing internet-based services is currently lacking and the potential for cost savings is unknown. A range of internet-based services are, or could be, used to deliver guidance, including for example, email, web chat, SMS messaging, mobile phones, website, software and video conferencing. An important first step in delivering effective and efficient internet-based guidance services would be agreement about a common, up-to date language to describe exactly what it comprises. Not only is there a lack of consistency in the terms currently used to describe this area of practice (e.g. web-based guidance; e-guidance; internet-based guidance), but the types of services listed under these terms vary. Once Connexions organisations are able to specify which internet based services they wish to offer to clients, then the training support required will be easier to identify. For example, one Connexions organisation may decide to increase its offer of guidance to young people via a telephone helpline, whilst another wishes to develop guidance by email and yet another decides to concentrate on supporting P.A.s to develop multi-media labour market information resources to deliver as part of group work with young people. Training requirements for each of these methods of delivery would be slightly different. Where guidance organisations have already embraced technology in the delivery of services, there seems to be a tendency to invest resources in training a group of practitioners to specialise in particular areas of practice. For example, Career Services New Zealand has trained one group of practitioners to work on a telephone helpline service alongside their face-to-face work, whilst another group has been trained to offer e-mail guidance. Technology needs – skills deficits, competences or learning opportunities? Last Friday I attended a seminar on e-learning 3.0at the British Library organised by Bryony Taylor, Senior Policy Advisor for Technology Enhanced Learning at Lifelong Learning UK. The ideas behind it were pretty neat – to bring together researchers, practitioners and policy makers from from higher education, further education, libraries and community learning to debate and identify the needs of the lifelong learning workforce in a rapidly changing world. And, fair play to the organisers, instead of the usual sit and listen policy events, there was opportunity for discussio0n and debate. The symposium was chaired by David Melville, Chair of LLUK and Chair of the Committee of Inquiry into the Changing Learner Experiences (the report is well worth reading). There were four short inputs (called ‘think pieces’). Laura Overton spoke on Towards Maturity – the changing nature of work place learning, Damien Kilkenny from Preston College spoke on the changing nature of learning in further education, Phil Bradley talked about the changing nature of learning in libraries and I spoke on the changing nature of learning in higher education. The major aim of the seminar was to identify the key training needs of the education workforce and this is where things got interesting. The organisers had thought we could do this by identifying competences needed to cope with changing technology and by finding the gaps between the present skills of the workforce and future skill requirements. But, despite the diverse backgrounds of participants, almost all of us rejected this approach. 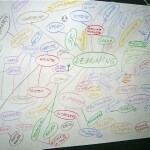 The question was not one of competences or skills deficiencies we said, but rather to identify learning opportunities. And, one of the most important needs, we felt, was for staff to have time for learning. Anyway here are the official outcomes as documented on the Learning 3.0 Ning web site. Showcase good practice from across the lifelong learning sector which highlights the benefits of using technology. Identify the barriers to effective use of technology and make recommendations as to how these can be overcome. Ensure all staff in the lifelong learning sector are given time to learn and develop as part of their job. Create a network of volunteer mentors and coaches for digital life skills in lifelong learning. 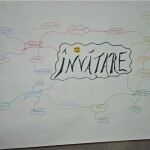 Short videos of the introductions and so0me of the discussions are also available on the web site. Here are excerpts from my presentation (note – the audio recording level is very low – you will need to turn up the volume). I caused some amusement on Twitter yesterday, tweeting out “Anyone know of closed group microblogging service which will run on windows 2000 / IE6?.” Lets provide some background to this. I am helping run an on-line course for a large education provider. The management is keen on professional development to update staff on how to use Web 2.0 and social software as part of their professional practice. Cutting a long story short, the difficulties started when we found they were unable to access Elluminate from some of their computers. Things got worse when we discovered they were unable to access most to the sites we wished the learners to use e.g youtube, slideshare, Facebook due to a corporate Firewall. We worked around the problem with the IT department taking down the firewall for nominated users, using a special log in. We decided to use Edmodo for communication between the participants. Then, yesterday, we discovered that many of the organisations computers are using Internet Explorer 6 on Windows 2000 operating system. Edmodo will not work on this set up. Hence the flurry of last minute searching for a solution. Thanks to advice from @wollepb we looked at the free cloud hosted service of Laconia from StatusNet. This is an impressive service, through in the end we decided to throw caution to the wind and go with Twitter. Now for some lessons. If education organisations wish to use Web 2.0 and social software, they have to ensure proper access, both through the Internet and through appropriate up to date hardware and software. Indeed, there is little justification for using Internet Explorer 6 in this day and age. And corporate firewalls are hindering the productivity of organisations and even more so the ability of staff for informal learning in the workplace. But, in this case at least, the managers are keen for learning to take place. I suspect they simply did not know of their organisation’s IT policies or understand the implications. Equally I am sure the IT department has been acting as they see it in the best interests of users in delivering a service with an ageing infrastructure. And I also fear this situation is not so uncommon in education organisations around the world. The answers? I think managers and IT departments have to understand that the provision of computers and internet access is not just a technical issue. It effects the ability of staff to deliver services. 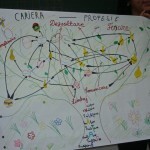 It inhibits the development innovative pedagogies and services. Our pre-course questionnaire suggests most of the participants are familiar and have used many social software services, presumably from home. Lack of work access can only lead them to conclude that such services are not part of their professional practice but are limited to social use. Maybe we could devise some kind of model policies or better still policy discourse to allow organisations to explore these issues. Another quick article in the ‘rethinking e-Portfolio and Personal Learning Environments’ mini series. One of the problems in Technology Enhanced Education, I am coming to think, is that new media are very different from traditional paper and book based media. And as Friesen and Hug (2009) argue that “the practices and institutions of education need to be understood in a frame of reference that is mediatic: “as a part of a media-ecological configuration of technologies specific to a particular age or era.” This configuration, they say, is one in which print has been dominant. They quote McLuhan who has described the role of the school specifically as the “custodian of print culture” (1962) It provides, he says, a socially sanctioned “civil defense against media fallout” – against threatening changes in the mediatic environs. So what is appropriate content for an e-Portfolio may not be that required by our education systems and institutions, Much of university education is based around essays. Research is still judged by publications in scholarly journals. Essays and journal content do not make for inspiring web content, however good. Indeed like most other people, I simply print out papers I want to read. But more importantly such paper oriented publications lack the richness that the web can bring, through linking, through the use of multi media, through links to people and increasingly through location specific enhancement. This problem is not unique to education. As the Guardian newspaper reports, it is also a pressing issue for publishers nervously awaiting the arrival of the iPad and wondering how to produce materials for both print media and for use on a mobile device. Hammersley is developing a new content managements system to overcome this problem. Called ‘Budding’ , the system appears to be based on mark up code to allow multiple use of texts. “Having to learn to write in markup isn’t an imposition, any more than having to learn shorthand or telegraphese. And as with learning any new language, you gain a new soul: writing in markup would allow you to embed code” Hammersley explains on his blog. This sounds very much like part of a Personal Learning Environment to me: a tool which can allow us both to capture contextual learning where and when it happens and to repurpose it for presentation in different media, including on-line through an e-Portfolio and in written formats for essays and scholarly publications. The only draw back I see is the mark-up language – would academics, students, learners use mark up. Maybe they would, if there was enough obvious gain. And maybe we could develop a simple menu allowing the markup to be added from a visual editor. After all, word processors juts use a menu system to add mark up to text (and a long time ago with Word Perfect the mark up code was written). Ben Hammersley says he is going to offer Budding free to authors. I’ve signed up for a trail. But could we work out a mark up code for a PLE or e-Portfolio? Friesen N and Hug T (2009), The Mediatic Turn: Exploring Concepts for Media Pedagogy, In K. Lundby (Ed.). Mediatization: Concept, Changes, Consequences. New York: Peter Lang. Pp. 64-81. McLuhan, M. (1962), The Gutenberg Galaxy: The Making of Typographic Man. Toronto: University of Toronto Press. Some more very quick notes on teaching and learning, e-portfolios and Personal Learning Environments. Lets start with the old problems of Virtual Learning Environments – yes one problem is that they are not learning environments (in the sense of an active learning process taking place – but rather learning management systems. VLEs are great for enrolling and managing learners, tracking progress and completion and for providing access to learning materials. But the learning most often takes place outside the VLE with the VLE acting as a place to access activities to be undertaken and to report on the results. In terms of social learning, groups are usually organised around classes or assignments. The third is that learners could use their own tools for learning and indeed those tools, be they online journals and repositries, networks or authoring tools, might also be distributed. Then lest throw social software and Web 2.0 into the mix. 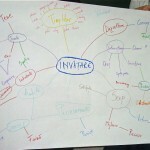 This led to accordances for not just consuming learning through the internet, but for active construction and sharing. How to support students in selecting appropriate tools to support their learning? How to support students in finding resources and people to support their learning? How to support students in reporting or representing their learning? How to support students in identifying and exploring a body of knowledge? How to motivate and support students in progressing their learning? How can informal learning be facilitated and used within formal course outcomes? How can we reconcile learning through communities of practice (and distributed personal learning networks) with the requirements of formal courses? I am not convinced those of us who advocate the development of Personal Learning Environments have adequately answered those questions. It is easy to say we need changes in the education systems (and of course we do). In one sense I think we have failed to recognise the critical role that teachers play in the learning process. Letsg o back to to Vykotsky. Vykotsky called those teachers – or peers – who supported learning in a Zone of Proximal Development as the More Knowledgeable Other. “The MKO is anyone who has a better understanding or a higher ability level than the leaner particularly in regards to a specific task, concept or process. Traditionally the MKO is thought of as a teacher, an older adult or a peer” (Dahms et al, 2007). But the MKO can also be viewed as a learning object or social software which embodies and mediates learning at higher levels of knowledge about the topic being learned than the learner presently possesses. Of course learners operate within constraints provided in part by the more capable participants (be it a teacher peer, or software), but an essential aspect of this process is that they must be able to use words and other artefacts in ways that extend beyond their current understanding of them, thereby coordinating with possible future forms of action. Thus teachers or peers as well as technology play a role in mediating learning. In terms of developing technology, we need to develop applications which facilitate that process of mediation. Some social software works well for this. If I get stuck on a problem I can skype a friend or shout out on Twitter, There is plenty of evidenced use of Facebook study groups. Yet I am not sure the pedagogic processes and the technology are sufficiently joined up. If I learn from a friend or peer, and use that learning in my practice, how does the process become transparent – both to myself and to others. How can I represent by changing knowledge base (through DIIGO bookmarks, through this blog?). And how can others understand the ideas I am working on and become involved in a social learning process. I am truly appalled at the digital economy bill now being rushed through the UK parliament. This is simply disgraceful. It is law making by industry, for industry, on the nod of all three major political parties (and against the grassroots sentiment of at least one of them). This is no longer just about copyright, or downloading, or even freedom of speeech and due process. It is about democracy, and whether this country is run by MPs or by lobbyists and Big Capital. It is a day when as a democrat, and a lawyer, (and not as a “copyright activist” as one commenter wrongly called me – I believe in copyright, I just don’t believe in destroying the legal system to enforce it) ) I am deeply , deeply disappointed. This law raises series issues for education. In a paper entitled “What is the significance of Open Source Software for the education and training community?” and written in 2005 (I think) i said the issue of sharing raises important social issues over ownership and content. I quoted Dai Griffith who addressed some of these issues at the open session of the June 2004 SIGOSSEE project meeting in Limerick on Open Source software in education. Dai Griffiths rejected this metaphor. He asked how do you know if someone “steals” your copyright materials? Copyright infringement is illegal, he said, but it is not theft, pointing out there was art, music and literature before copyright. Copyright is a limited monopoly granted by the state. It is important, but it is not an inalienable right. (Implementation Act of 1988, cited in LR Patterson & SW Lindberg, The Nature of Copyright 1991). I would argue that the primary objective of the digital economy bill is not to reward the author, nor to secure for the public the benefits from the creations of authors, but to secure the interests of an outdated, self seeking and degenerate industry. They are not interested in music, they are not interested in film, they are not interested in literature, the are not interested in art, they are not interested in learning, they only care for their profits. This bill has nothing to do with the digital economy – it is about reinforcing copyright. Shame on our politicians for supporting them. The second in my ‘Rethinking’ series of blog posts. This one – Rethinking e-portfolios’ is the notes for a forthcoming book chapter which I will post on the Wales wide Web when completed..
Several years ago, e-portfolios were the vogue in e-learning research and development circles. Yet today little is heard of them. Why? This is not an unimportant question. One of the failures of the e-learnng community is our tendency to move from one fad to the next, without ever properly examining what worked, what did not, and the reasons for it. In a paper presented at the e-Portfolio conference in Cambridge in 2005 (Attwell, 2005), I attempted to distinguish between the different process in e-Portfolio development and then examined the issue of ownership for each of these processes. The diagramme reveals not only ownership issues, but possibly contradictory purposes for an e-Portfolio. Is an e-Portfolio intended as a space for learners to record all their learning – that which takes place in the home or in the workplace as well as in a course environment or is it a place or responding to prescribed outcomes for a course or learning programme? 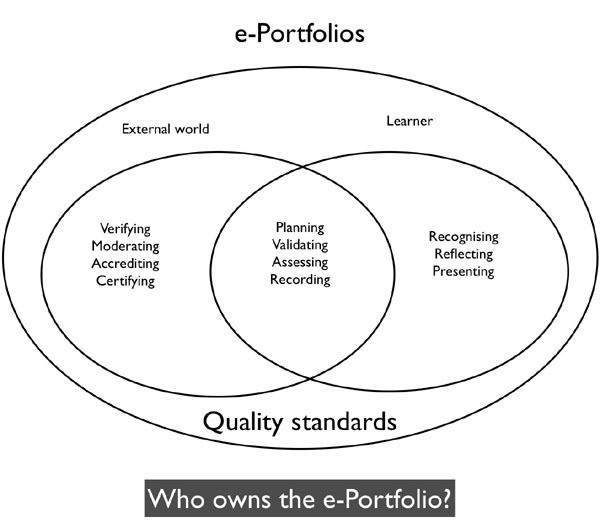 How much should a e-Portfolio be considered a tool for assessment and how much for reflection on learning? Can tone environment encompass all of these functions? These are essentially pedagogic issues. But, as always, they are reflected in e-learning technologies and applications. I worked for a whole on a project aiming to ‘repurpose the OSPI e-portfolio (later merged into Sakai) for use in adult education in the UK. It was almost impossible. The pedagogic use of the e-Portfolio, essentially o report against course outcomes – was hard coded into the software. Lets look at another, and contrasting, e-Portfolio application, ELGG. Although now used as a social networking platform, in its original incarnation ELGG stared out as a social e-portfolio, originating in research undertaken by Dave Tosh on an e-portfolio project. ELGG essentially provided for students to blog within a social network with fine grained and easy to use access controls. All well and good: students were not restricted to course outcomes in their learning focus. But when it came to report on learning as part of any assessment process, ELGG could do little. There was an attempt to develop a ‘reporting’ plug in tool but that offered little more than the ability to favourite selected posts and accumulate them in one view. Mahara is another popular open source ePortfolio tool. I have not actively played with Maraha for two years. Although still built around a blogging platform, Mahara incorporated a series of reporting tools, to allow students to present achievements. But it also was predicated on a (university) course and subject structure. Early thinking around e-Portfolios failed to take into account the importance of feedback – or rather saw feedback as predominately as coming from teachers. The advent of social networking applications showed the power of the internet for what are now being called personal Learning networks, in other words to develop personal networks to share learning and share feedback. An application which merely allowed e-learners to develop their own records of learning, even if they could generate presentations, was clearly not enough. But perhaps the biggest problem has been around the issue of reflection. Champions have lauded e-portfolios as a natural tools to facilitate reflection on learning. Helen Barrett (2004) says an “electronic portfolio is a reflective tool that demonstrates growth over time.” Yet are e-Portfolios effective in promoting reflection? And is it possible to introduce a reflective tool in an educations system that values the passing of exams through individual assessment over all else? Merely providing spaces for learners to record their learning, albeit in a discursive style does not automatically guarantee reflection. It may be that reflection involves discourse and tools for recording outcomes offer little in this regard. I have been working for the last three years on developing a reflective e-Portfolio for a careers service based din the UK. The idea is to provide students an opportunity to research different career options and reflect on their preferences, desired choices and outcomes. We looked very hard at existing opens source e-portfolios as the basis for the project, nut could not find any that met our needs. We eventually decided to develop an e-Portfolio based on WordPress – which we named Freefolio. Much of this has been overtaken by subsequent releases of WordPress multi user and more recently Buddypress. But at the time Freefolio was good. However it did not work in practice. Why? There were two reasons I think. Firstly, the e-Portfolio was only being used for careers lessons in school and that forms too little a part of the curriculum to build a critical mass of familiarity with users. And secondly, it was just too complex for many users. The split between the front end and the back end of WordPress confused users. The pedagogic purpose, as opposed to the functional use was too far apart. Why press on something called ‘new post’ to write about your career choices. And, despite our attempts to allow users to select different templates, we had constant feedback that there was not enough ease of customisation in the appearance of the e-Portfolio. In phase two of the project we developed a completely different approach. Rather than produce an overarching e-portfolip, we have developed a series of careers ‘games; to be accessed through the Careers company web site. Each of the six or so games, or mini applications we have developed so far encourages users to reflect on different aspects of their careers choices. Users are encouraged to rate different careers and to return later to review their choices. The site is yet to be rolled out but initial evaluations are promising. I think there are lessons to be learnt from this. Small applications that encourage users to think are far better than comprehensive e-portfolios applications which try to do everything. 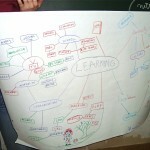 This is similar to the Mash Up Personal Learning Environment, being promoted in a number of European projects. Indeed a forthcoming paper by Fridolin Wild reports on research looking at the value of light weight widgets for promoting reflection that can be embedded in existing e-learning programmes. This is an interesting idea in suggesting that tools for developing an e-Portfolio )or for that matter, a PLE can be embedded in learning activities. This approach does not need to be restricted to formal school or university based learning courses. Widgets could easily be embedded in work based software (and work flow software) and our initial investigations of Work Oriented Personal Learning Environments (WOMBLES) has shown the potential of mobile devices for capturing informal and work based learning. Of course, one of the big developments in software since the early e-Portfolio days has been the rise of web 2.0, social software and more recently cloud computing. There seems little point in us spending time and effort developing applications for students to share powerpoint presentations when we already have the admirable slideshare application. And for bookmarks, little can compete with Diigo. Most of these applications allow embedding so all work can be displayed in one place. Of course there is an issue as to the longevity of data on such sites (but then, we have the same issue with institutional e-Portfolios and I would always recommend that students retain a local copy of their work). Of course, not all students are confident in the use of such tools: a series of recent studies have blown apart the Digital Native (see for example Hargittai, E. (2010). Digital Na(t)ives? Variation in Internet Skills and Uses among Members of the “Net Generation”. Sociological Inquiry. 80(1):92-113). And some commercial services may be more suitable than other for developing an e-Portfolio: Facebook has in my view limitations! But, somewhat ironically, cloud computing may be moving us nearer to Helen Barrett’s idea of an e-Portfolio. John Morrison recently gave a presentation (downloadable here) based on his study of ‘what aspects of identity as learners and understandings of ways to learn are shown by students who have been through a program using course-based networked learning?’ In discussing technology he looked at University as opposed to personally acquired, standalone as opposed to networked and Explored as opposed to ongoing use. Whilst students were previously heavy users of Facebook, they were now abandoning it. And whilst there was little previous use of Google docs, his latest survey suggested that this cloud application was now being heavily used. This is important in that one of the more strange aspects of previous e0Portolio development has been the requirement for most students to upload attached files, produced in an off line work processor, to the e-Portfolio and present as a file attachment. But if students (no doubt partly driven by costs savings) are using online software for their written work, this may make it much easier to develop online e-portfolios. John concluded that :this cohort lived through substantial technological change. They simplified and rationalized their learning tools. They rejected what was not functional, university technology and some self-acquired tools. They operate from an Acquisition model of learning.” He concluded that “Students can pick up and understand new ways to learn from networks. BUT… they generally don’t. They pick up what is intended.” (It is also well worth reading the discussion board around John’s presentation – – although you will need to be logged in to the Elesig Ning site). So – the e-Portfolio may have a new life. But what particularly interests me us the interplay between pedagogic ideas and applications and software opportunities and developments in providing that new potential life. And of course, we still have to solve that issue of control and ownership. And as John says, students pick up what is intended. If we continue to adhere to an acquisition model of learning, it will be hard to persuade students to develop reflective e-Portfolios. We should continue to rethink e-Portfolios through a widget based approach. But we have also to continue to rethink our models of education and learning. We developed our platform to enable conversation with the developer community around innovative use of digital technologies. In addition to our blog we ask people to submit examples of innovative citizen focused apps or ideas for apps that could be developed using government data or that demonstrate innovative use of technologies. The site gives access to tools to easily create widgets to query local government data, for instance providing access to job vacancies or school term dates. Advised by Sir Tim Berners-Lee and Professor Nigel Shadbolt and others, government is opening up data for reuse. This site seeks to give a way into the wealth of government data and is under constant development. We want to work with you to make it better. We’re very aware that there are more people like you outside of government who have the skills and abilities to make wonderful things out of public data. These are our first steps in building a collaborative relationship with you. Like Directgov, the site allows users to contribute both ideas and apps to the site. All this augers well. I have been working on developing mash up applications for careers guidance and counselling and in particular for using Labour Market Information. All to often, the major barrier is the lack of available data, license restrictions and the lack of APis to query data. At last attitudes seem to be changing. Through the Mature project I have been invited to submit a proposal for a lecture or workshop for the JTEL Summer School to be held in Ohrid in June. The JTEL summer schools, the publicity claims, usually attract about 80 researchers, providing an exciting forum for cross-disciplinary dialogue, fostering new research collaborations and partnerships, and an opportunity for the next generation of TEL researchers to gain insight from leading experts in the field. So here’s my proposal. I enjoyed writing it and if anyone else is interested in us running such a workshop juts get in touch. The workshop will focus on the use of internet radio in education. b) The change from passive media to interactive Web 2.0 supported media and the changing distinctions between broadcaster/program planner and listener/consumer. d) The use of media to bridge contexts and provide spaces for exploration and shared meaning making. 2) A practical hands on session on how to plan develop and broadcast live internet media. This will include storyboarding, interviewing, finding Creative Commons licensed music, making jingles, mixing and post processing, directing and producing and using the technology for live broadcasts. 3) The third session is planned to take place in a lunchtime or evening session. This will be a live 45 minute to one hour broadcast “Sounds of the Bazaar – Live from Ohrid”. It is hoped to involve all summer school participants in the broadcast. The broadcast will be publicised in advance through iTunes, Facebook, Twitter and other social software platforms. It is also intended to use the boradcast to link to other researchers in TEL from around the world not able to be at the summer school. The programme will be recorded and made available through the Summer School web site, the Mature project web site, the Pontydysgu web site and through iTunes. The workshop is primarily designed to contribute to the Grand Challenge of Contextualising virtual learning environments and instrumentalising learning contexts. Live internet radio provides both a shared context and space for learning, with universal reach outside of institutional or national boundaries, whilst at the same time allowing individual to collectively contribute to the development of shared artefacts, which in themselves can become part of the repertoire of a community of practice. Radio also offers a means of actively engaging learners in a community and through appropriation of what was a push (or broadcast) media, through merging with Web 2.0 tools and standards allows community participation and self expression.